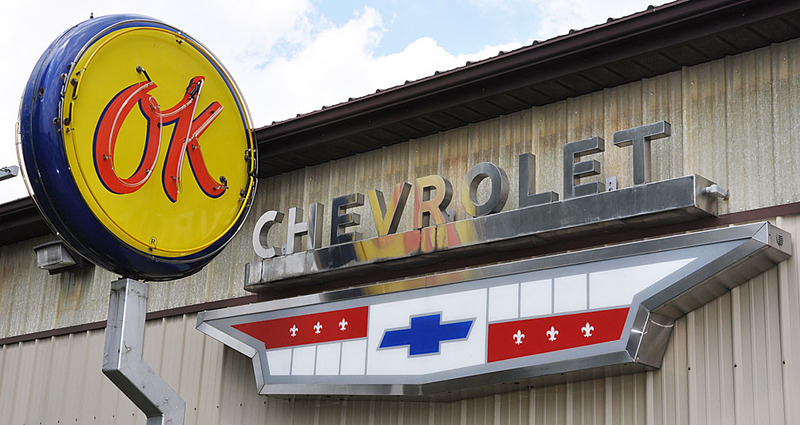 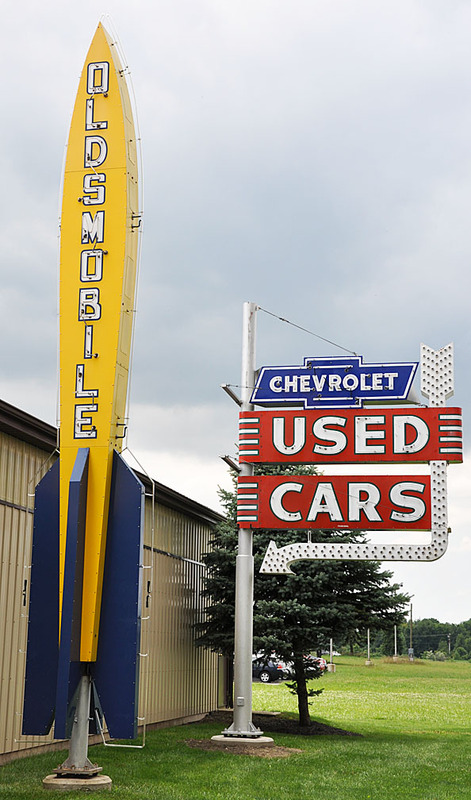 The Bob McDorman Chevrolet collection contained more than 1,000 rare signs and had an estimated value of nearly $3 million. 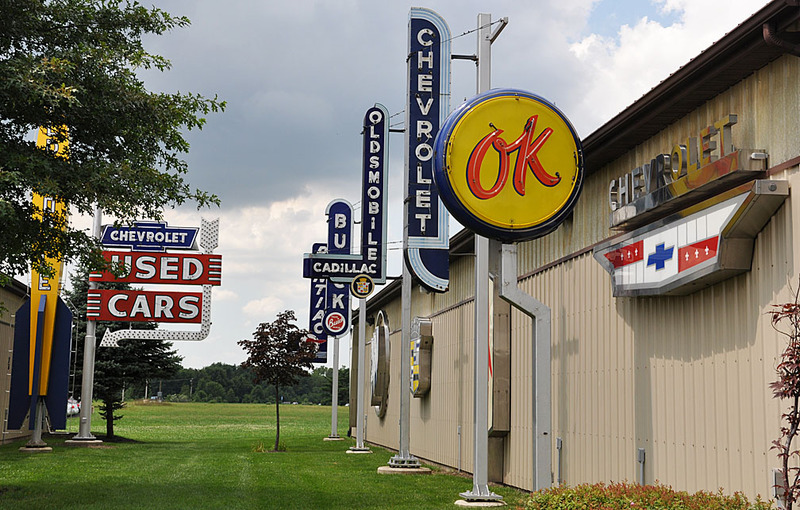 In addition to the signs, McDorman had a passion for classic cars and owned more than 150 of them. 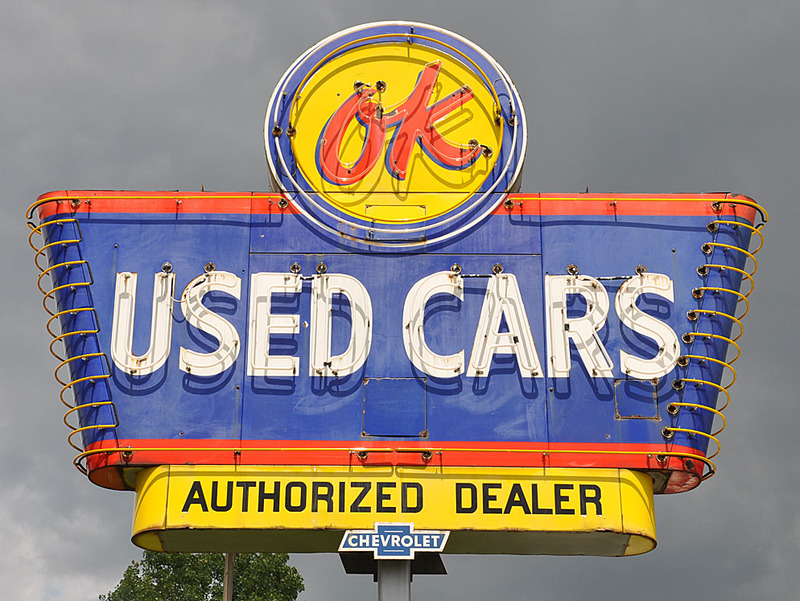 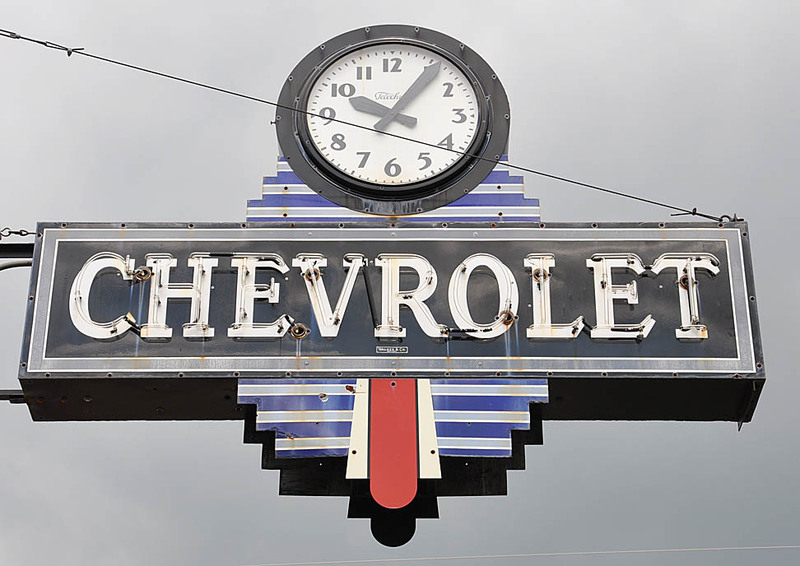 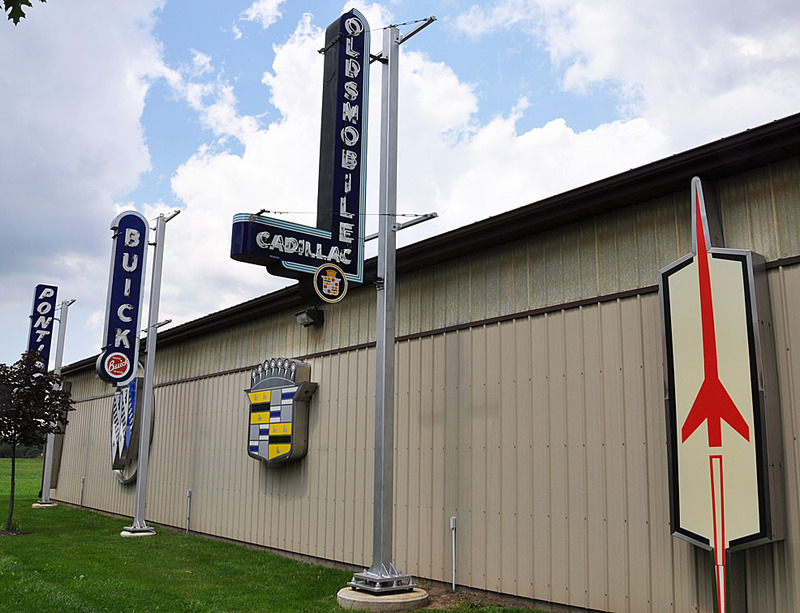 By 2009, his sign and car collection filled seven large warehouses behind the dealership. 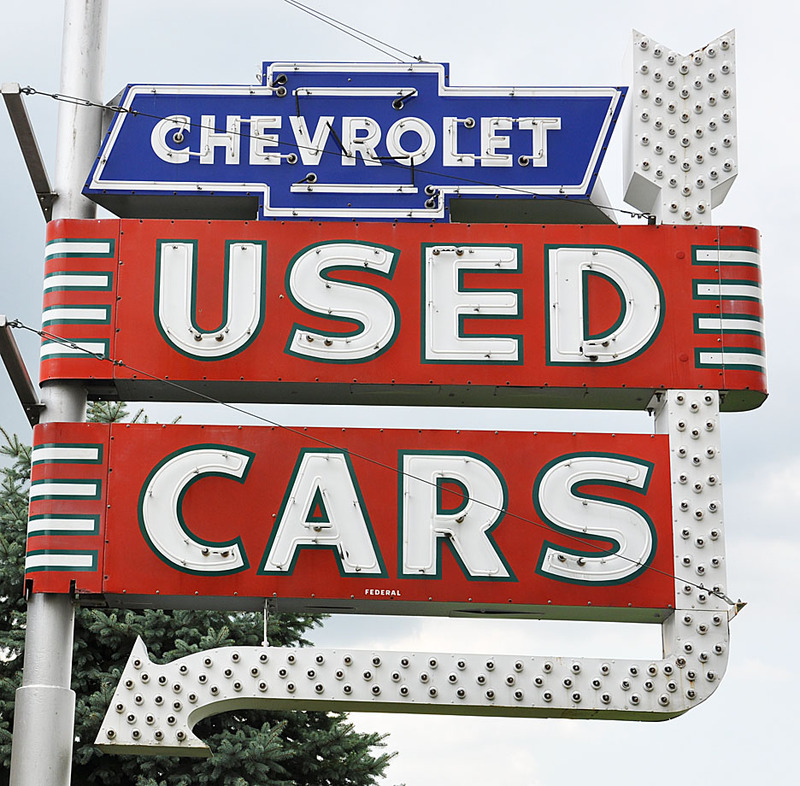 There were so many signs and other auto-related items that McDorman had limited access to his cars. 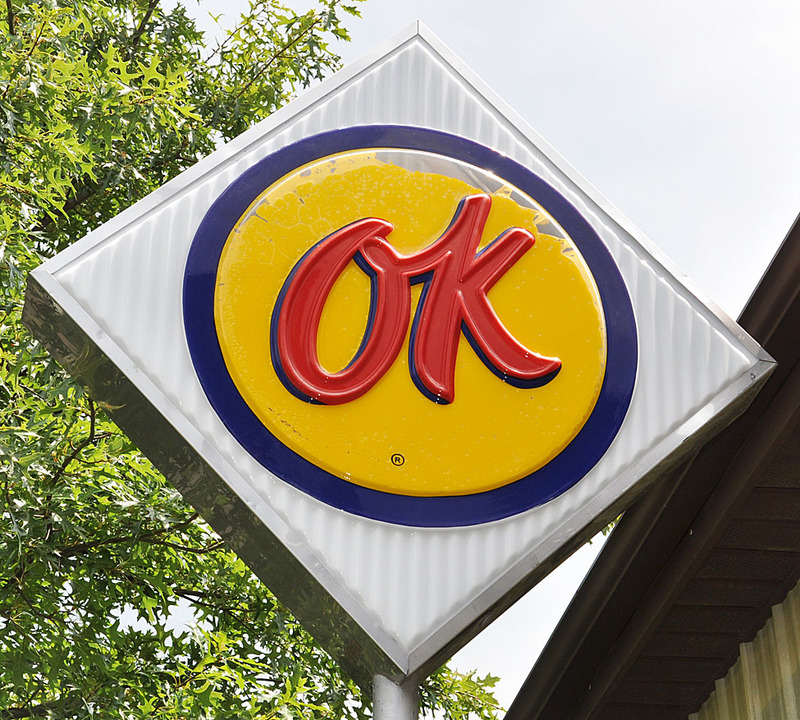 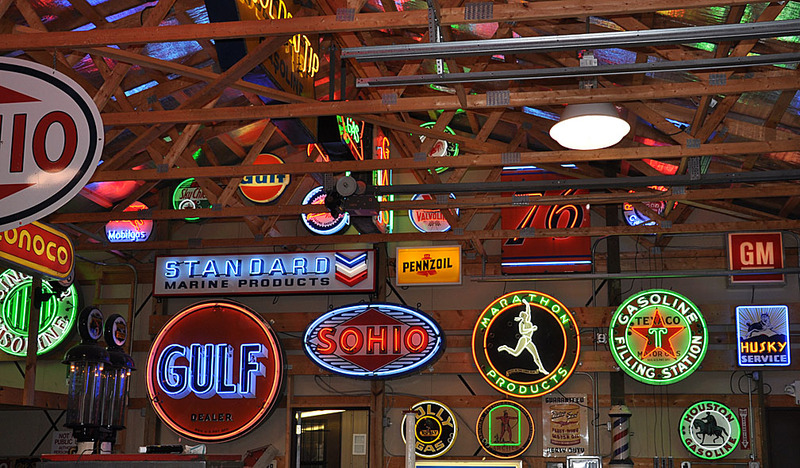 In 2009, he held an auction to sell of the majority of the signs. 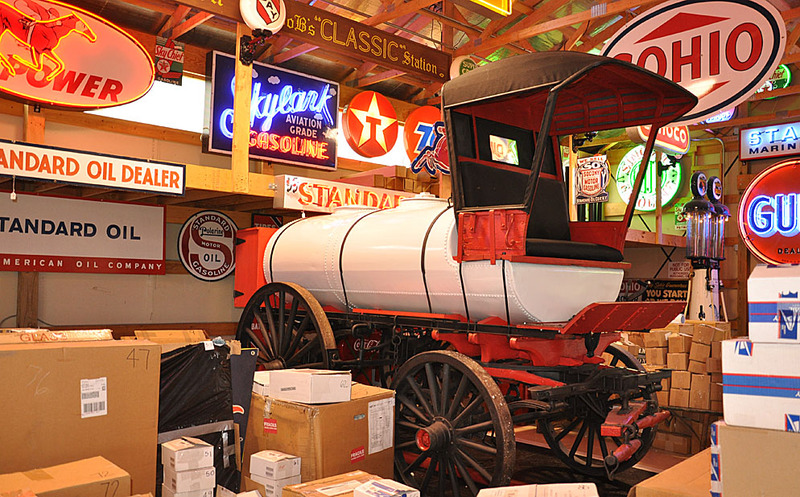 These photos were taken just months before the auction. 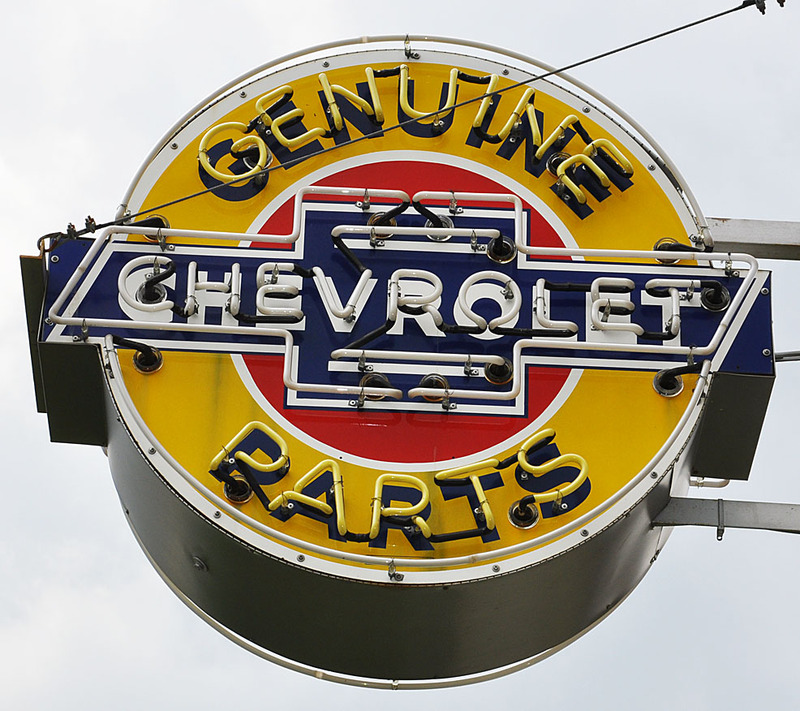 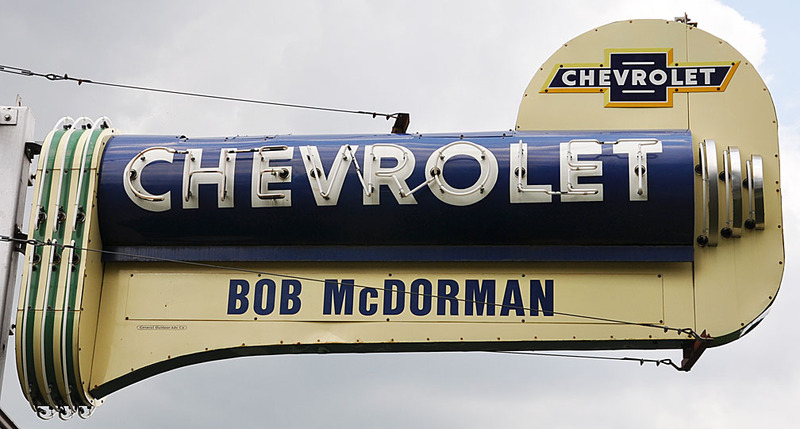 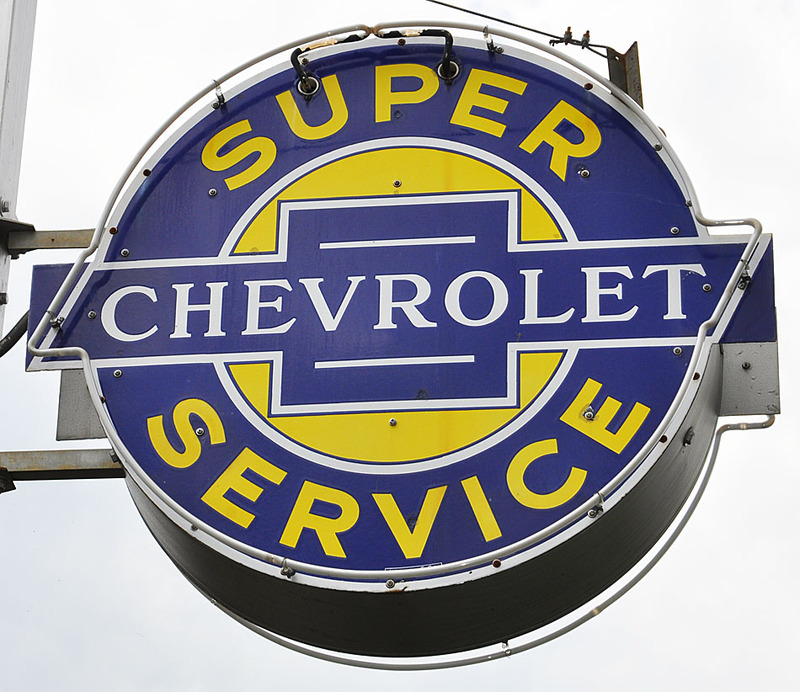 Bob McDorman had operated a Chevrolet dealership since 1965. 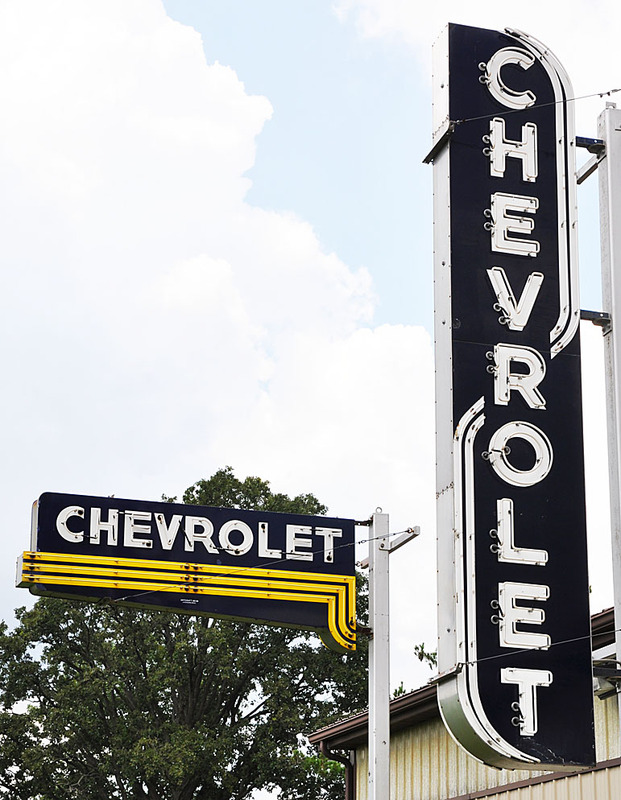 Most of that time, it operated at this location. 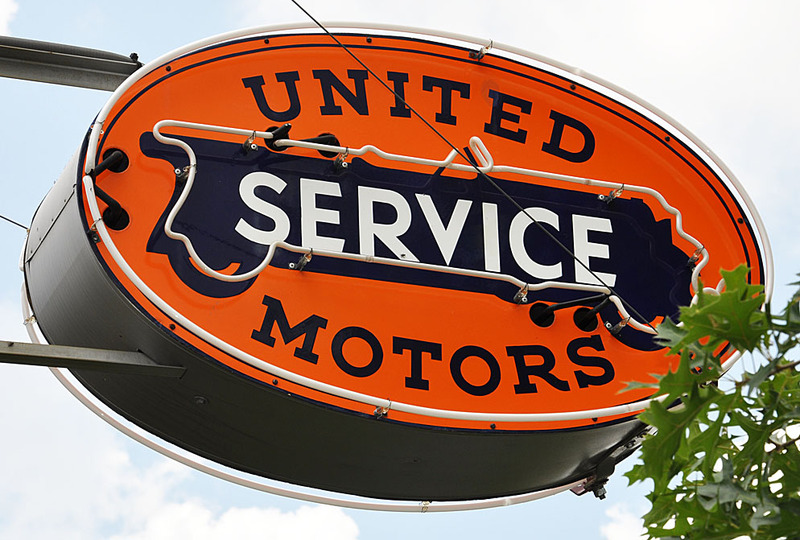 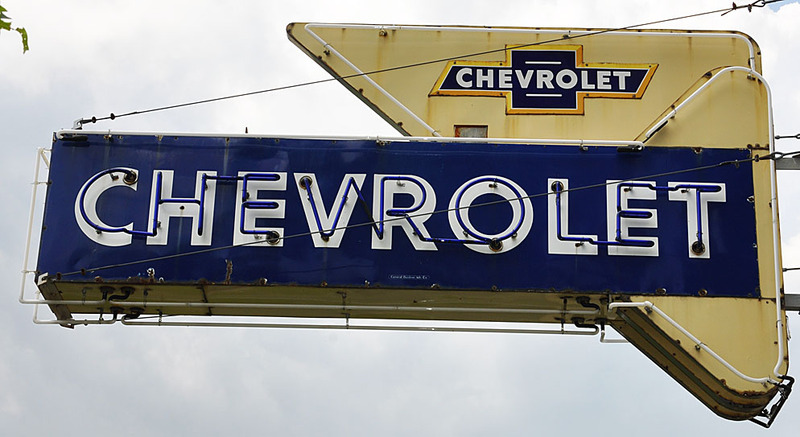 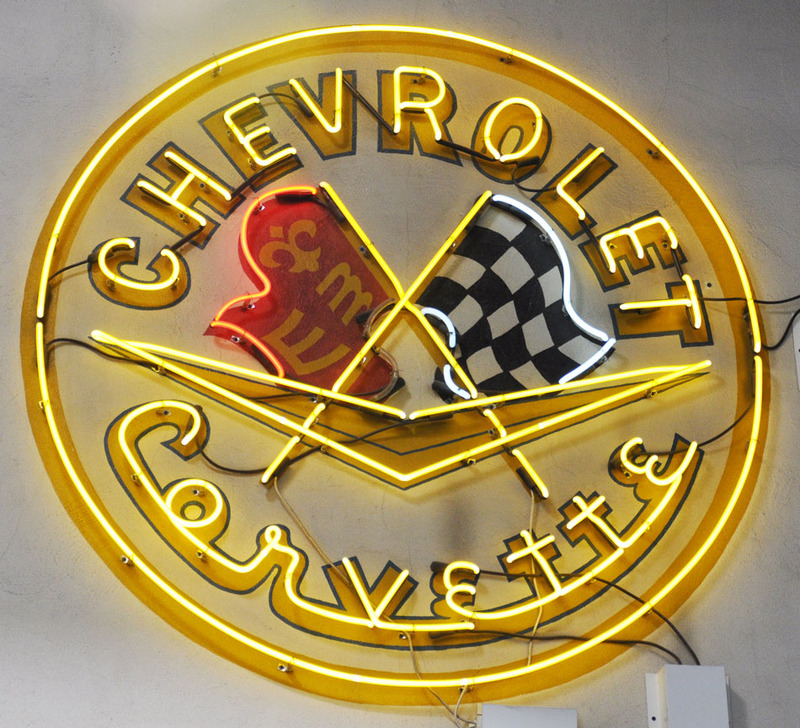 In 2011, the dealership was sold and now operates as Jeff Wyler Chevrolet. 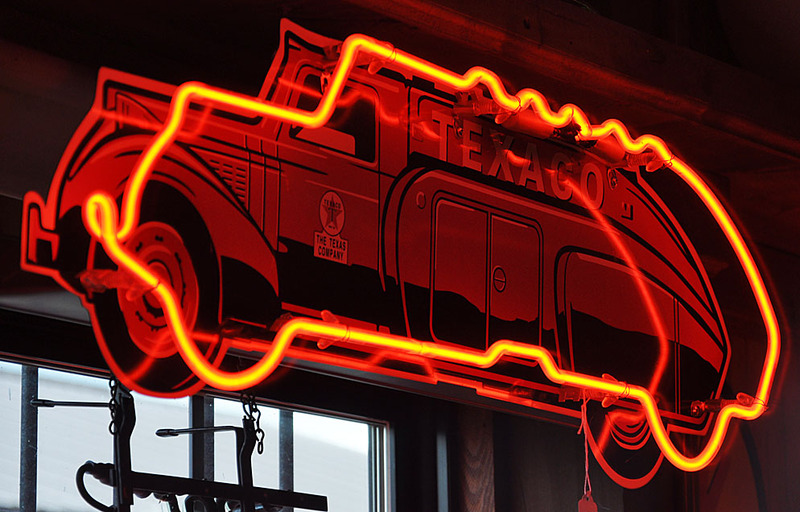 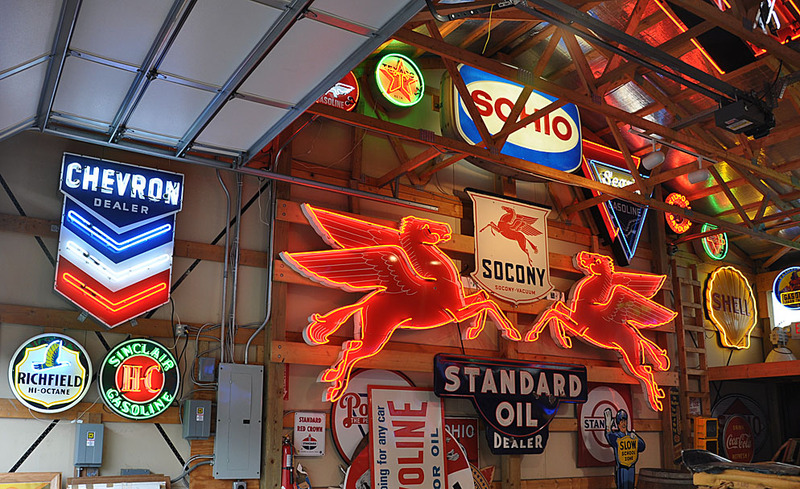 In 2014, McDorman opened the Bob McDorman Automotive Museum in Canal Winchester, OH for his car collection and remaining neon signs. 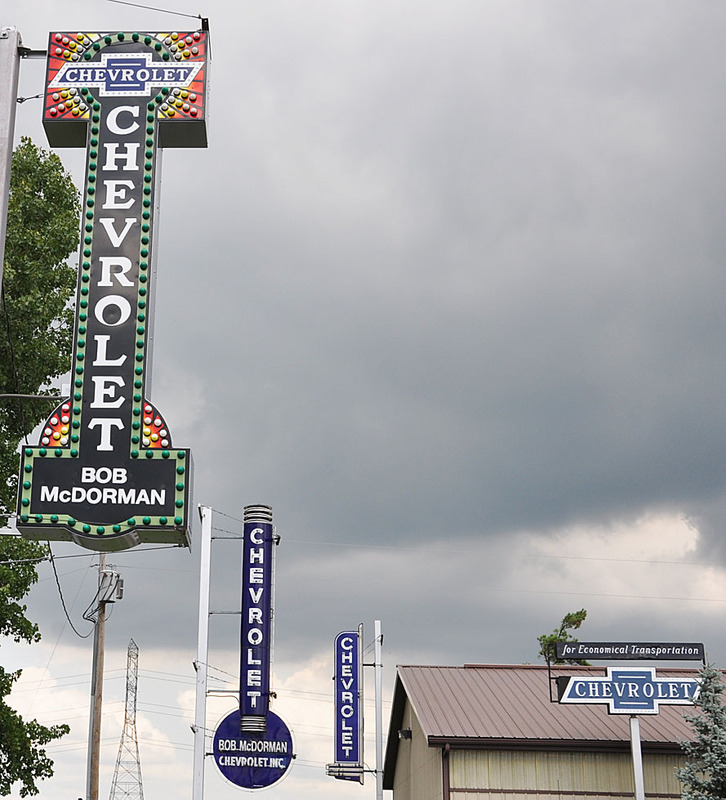 McDorman passed away in 2015 and the museum closed in 2016. 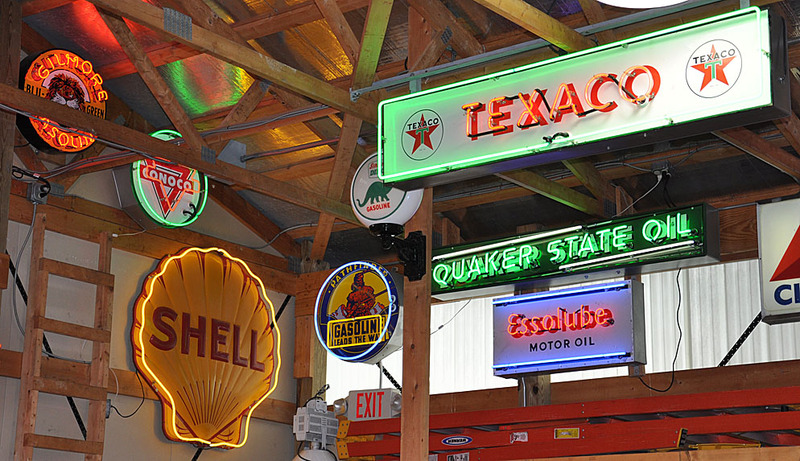 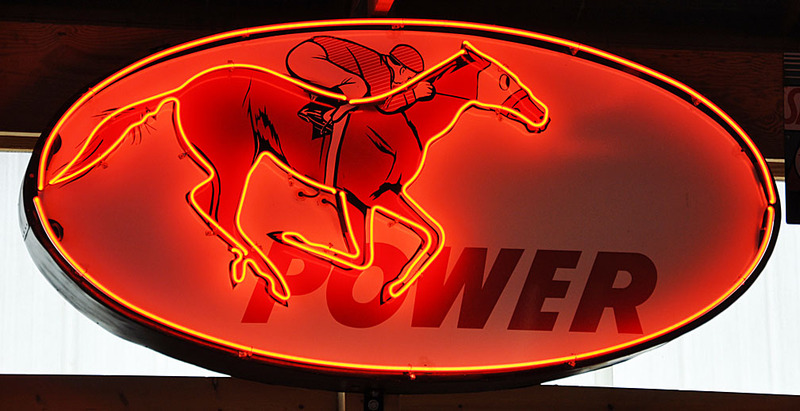 The remaining signs were auctioned off.